Sometimes it can feel like translating between two languages is particularly difficult. Between keeping cultural references in context, making sure the feel of the translation remains the same as the original and finding just the right diction in the new tongue, it can be something of a juggling act. Then, certain languages throw a monkey wrench into the works by containing words that are impossible to translate directly. Russian is one of those languages. It’s full of words that have no direct English equivalent. These words encompass an idea that English just never invented a comparable single term for. Below we’ll look at some of the top 10 Russian words that are difficult to translate into English. 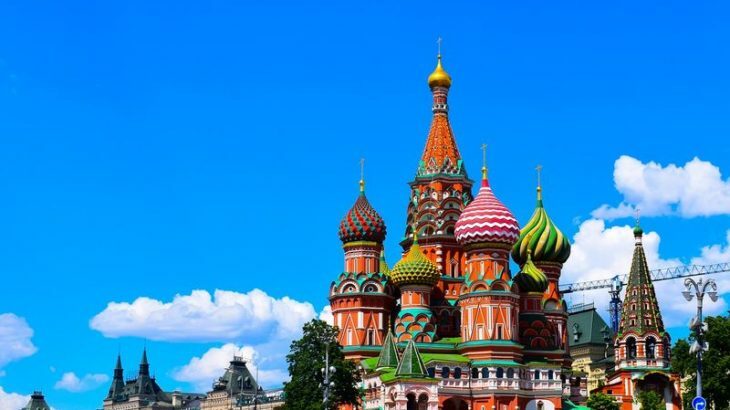 For those in need of further help, Tomedes offers Russian translation services that can handle even the most obscure and hard to translate words. This term can translate into the word “platitude.” Google Translate pops out the word “vulgarity.” Even those don’t quite get to the heart of the term. It’s closer to translate this word as something that is tacky, shallow, soulless or superficial. It can even relate to sexual promiscuity. If you ever see a trashy display of wealth, that is what this word embodies. Nabokov described it as, “the falsely important, the falsely beautiful, the falsely clever, the falsely attractive.” It’s the Russian term for anything your most hated, fake celebrity is doing! The most literal translation of this word is “to exist,” and Google Translate lists “being.” But this term is more philosophical, in that it actually embodies the concept of objective reality that exists independent of human perception. According to this term, if a tree falls in the forest when no one is around, it does make a sound. When you put “podvig” into Google Translate, it comes out as “feat” in English. But that misses much of the nuance of the word, accenting the need for human translation. It is also sometimes translated as “achievement.” In reality, it is a brave, selfless and heroic act, often one done in difficult situations. Podvig can also relate to the idea of a spiritual struggle. This term pops up in Orthodox Christian Russian writings quite often. In that context, it usually relates to the act of mastering spiritual purity. It’s a complex word indicating a bleak social situation where all opportunity is lost for anyone on the receiving end of it. This popular, untranslatable term embodies melancholy and emotional pain, except it’s so much worse than that. It’s melancholy’s even more despondent cousin, which you can see when the term has proper localization. It goes down to the level of what Vladimir Nabokov described as “spiritual suffering,” and even “indistinct pain of the soul…vague anxiety, nostalgia, amorous longing.” It’s the deepest sadness as only Russians can express it. This word can sometimes be translated as “busybody,” but not in an insulting way. It actually relates to a child who is very curious. It’s the kid who asks “why?” without end and is actually used as a term of endearment, unlike in many other languages. Sadly, if you put it into Google Translate, you just get back the word “why?” – terms like this show why proper localization within the translation industry is a must! The root for this word is a version of “white,” and the word itself has the very literal translation of “a person with white hands.” In a greater context, it’s used to define someone who doesn’t want to do any dirty work or “get their hands dirty,” bringing with it the association of laziness. This term is quite complex and also shows why localization for greater context is key. It translates literally as “holy fool.” However, unlike the English feel to the translation, it’s actually a term of reverence. It goes back to ancient Russia, where Yurodivys were people who renounced earthly pleasures to follow Christ. They lived nomadically and worked to conquer pride. They were a respected part of the culture and many people believed they could reveal prophecies. This word means an emotional outburst, when all those deep feelings come bubbling to the surface. Fyodor Dostoevsky used this word often, and it was related to exaggerated or even imaginary feelings. As you can see, these words have so much nuance and so many different contexts, human translation is often a must for delivering their true meaning. Ofer Tirosh is CEO at Tomedes, which offers translation and localization services to business clients all over the world.